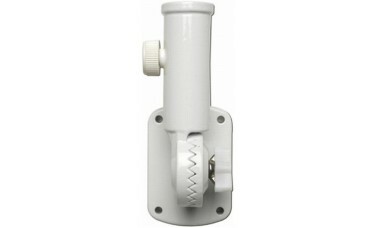 Our white cast aluminum bracket is designed to be used with 1" flag poles. This bracket can adjust to 13 different positions. Our Most popular wall-mount flagpole bracket!